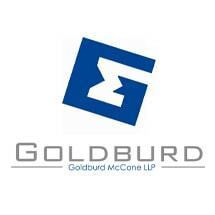 At Goldburd McCone LLP, our attorneys provide the highest caliber of representation in the complete spectrum of tax matters. While based in Manhattan, we serve individuals, businesses and nonprofit organizations across New York, the United States and globally. Since our firm was founded in 1983, we have provided innovative, ethical counsel geared toward helping clients through difficult tax challenges. If the IRS or a state tax authority has assessed you with delinquent tax debts, we will carefully investigate the facts of your case and work toward the best possible solution. We have helped reduce or eliminate tax debts, established sensible installment agreements or offers in compromise, helped clients via the innocent spouse doctrine, as well as other relief. Whatever your needs entail, our lawyers are focused on resolving your legal issues on favorable terms. More than this, we are focused on helping our clients become smart taxpayers. We provide candid, informative counsel aimed at helping our clients understand their situation and make wise decisions going forward. By doing so, we cultivate strong relationships with our clients and become a go-to source for their complex tax needs. The first step to dealing with your tax issues begins with a free case evaluation. Call Goldburd McCone LLP at 212-235-1817.